We’ve got a treat for all you lovelies today! 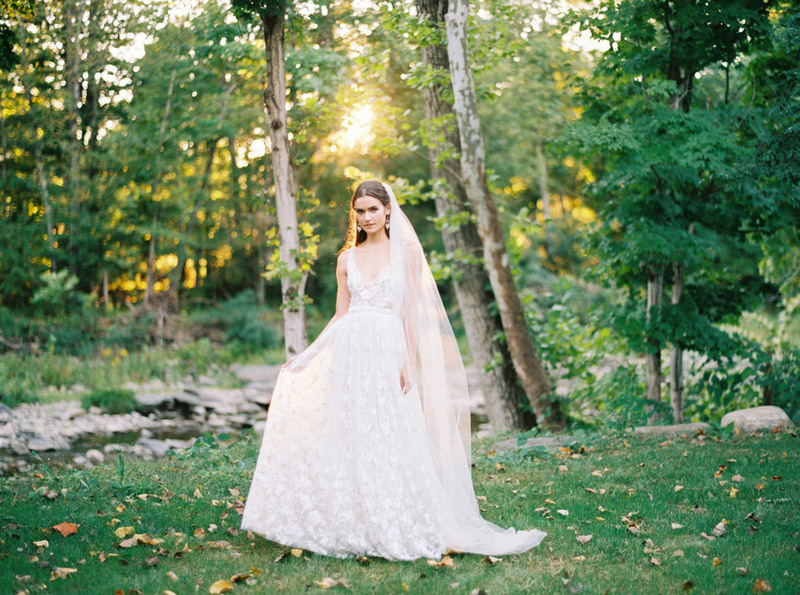 We’re exclusively sharing Rebecca Schoneveld’s Spring 2017 Collection, photographed by Rachel Gomez at The Dewitt Oak Hill in New York! Featuring organic designs and textiles, Rebecca’s latest collection was inspired by a mesmerizing mist-blue and white-gold jacquard silk organza that she found in Spain. The way the colors and movement melt together creates such a wonderful balance of both drama and whimsy. Rebecca shares Building on my adoration of this color palate, I designed several beaded embroideries using opal and moonstone colors and incorporated several other embroideries in the collection that are accented with light pewter. As her collections grow and evolve, the goal is always the same: to create elegant yet stunning pieces which emphasize a woman’s natural beauty. 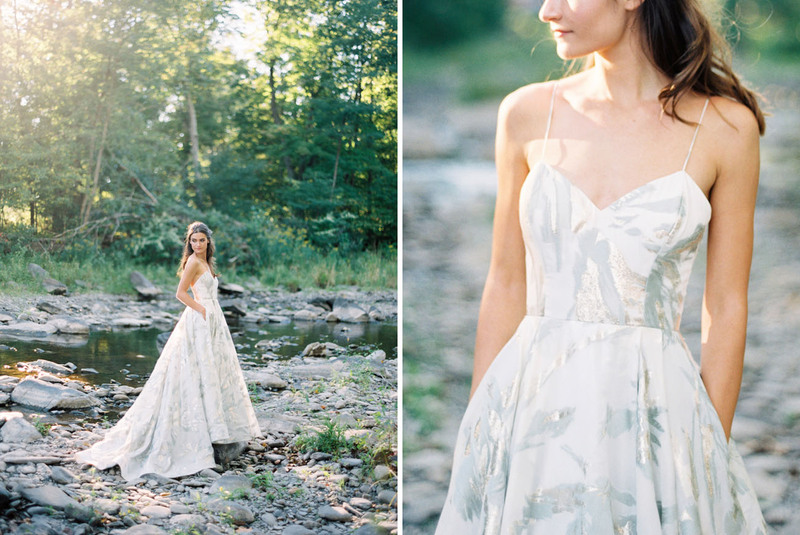 Never embellish with too many trendy details… Make the bride feel like the ultimate, best version of herself on her wedding day — authentic + comfortable! Sounds like a plan to us! 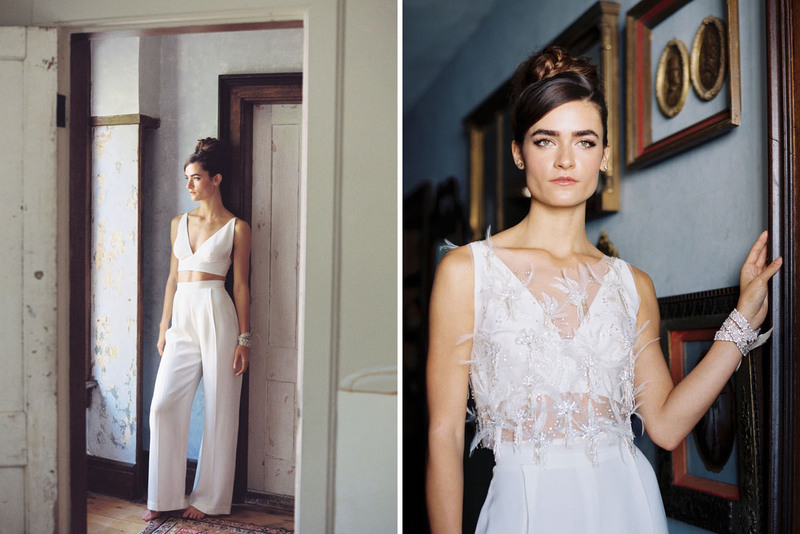 All of the Rebecca Schoneveld gowns are crafted at her in-house studio, which is located right in the back of her Brooklyn, NY flagship boutique, Schone Bride. Brides who are lucky enough to visit Schone Bride can see where the “magic happens”, which for Rebecca, is an essential part of the whole experience. 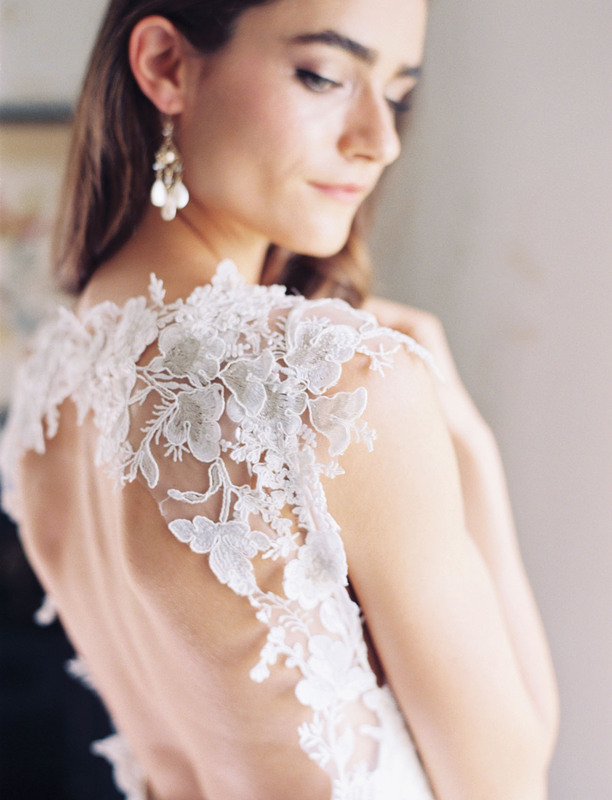 In fact, Rebecca loves connecting with others so much and hearing their story, that this weekend (November 4-6th), she’ll be hosting a trunk show in the shop where brides can meet her in person (on Friday + Saturday)! Guests are invited to try on anything from the new collection and other designs which are exclusive to Schone Bride! Ready to see all the magnificent beauties she’s crafted? Let’s look! Rebecca shares I chose to work with Denver-based photographer Rachel Gomez, who also photographed our 2016 collection last year in Rocky Mountain National Park. Rachel treats her work like a real craft – the same way I approach dressmaking and design. The way she composes and captures a moment is so delicate, yet strong at the same time. This tension feels completely at home with my brand, as we always embrace the strength of feminine energy. 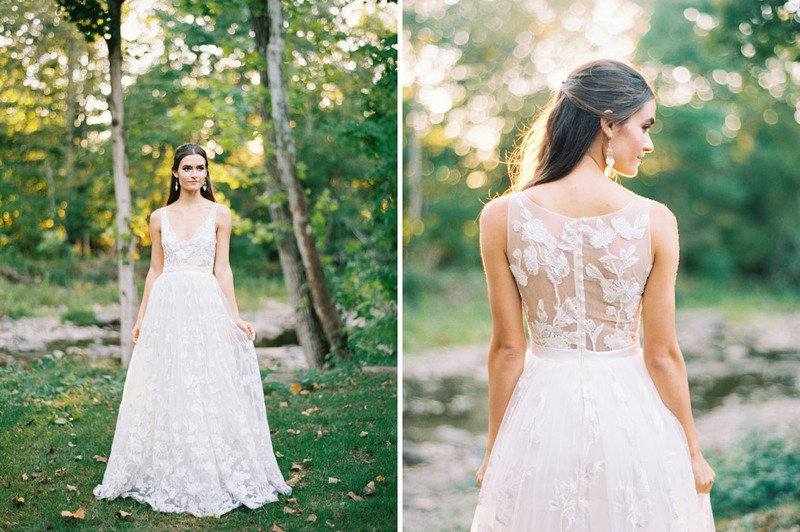 Seriously swooning over this dress… The back cutout and darling beaded detail, plus the flowing train! SO GOOD. We love the sheer illusion fabric on the bodice! Isn’t this floral detailing just the sweetest?! 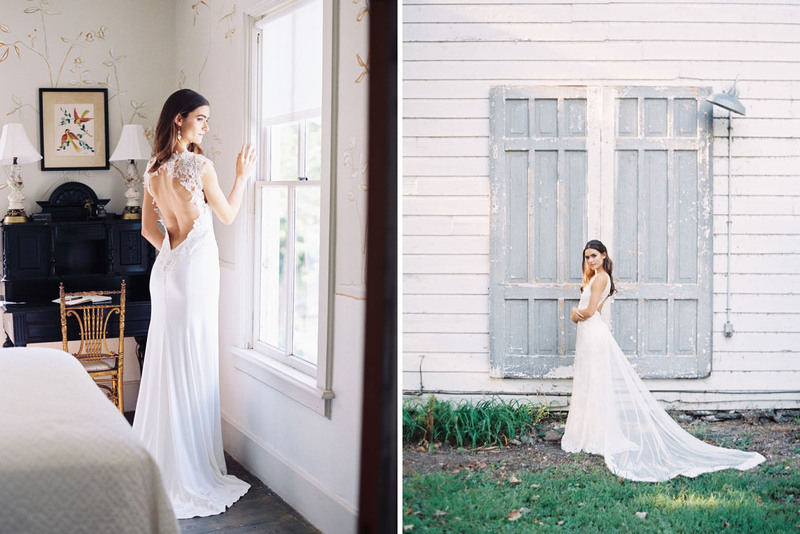 So in case you’ve fallen for these gowns as much as we have, remember that you are invited to meet the designer + try on all these beauties for a trunk show at Schone Bride this weekend (November 4-6th, 2016). For more details head on over to Schone Bride’s website! Our final treat for you: Follow Rebecca Schoneveld on Instagram and comment on their GWS post – with your FAVE 2017 gown and use the hashtag #RSonGWS2017. 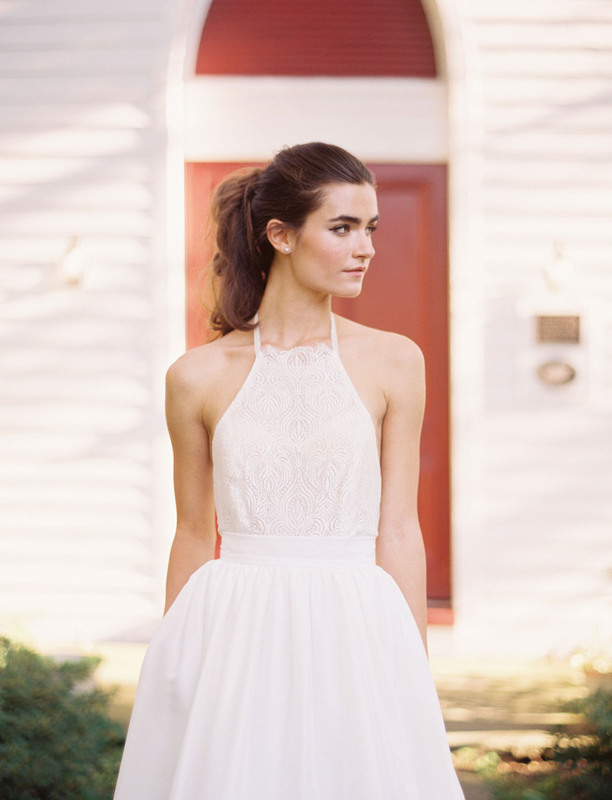 One lucky bride-to-be will receive $750 off an RS gown of her choice! *Must be purchased through Schone Bride, all cut-to-order purchases are final.